Authorities say several surveillance photos recorded hours before -- and minutes after -- his friend was shot to death show former New England Patriots tight end Aaron Hernandez holding a gun. The photos, taken from Hernandez's home surveillance system, are the public's first look at images apparently showing Hernandez holding a gun before and after the killing. They are in more than 100 pages of court records released on Thursday by Attleboro District Court. Prosecutors previously described the photos in court and in affidavits. 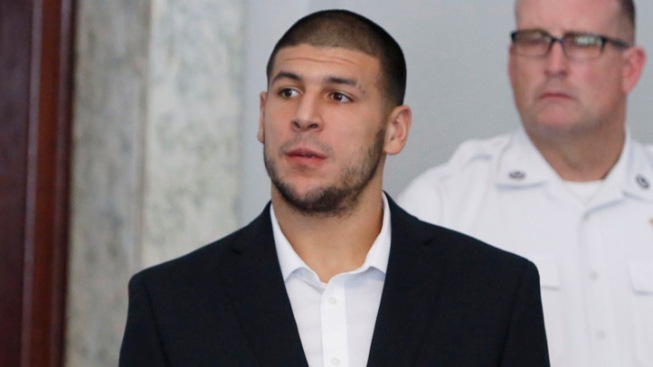 Hernandez has pleaded not guilty to murder in the death of Odin Lloyd, a 27-year-old Boston semi-professional football player whose body was found June 17 in an industrial park about a mile from Hernandez's home. On Friday, Hernandez associate Ernest Wallace is scheduled to appear in court.